Dream Liquid Mousse is an air-whipped liquid makeup foundation designed for normal skin-type. 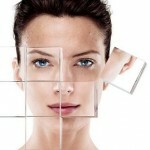 It’s an excellent daily-use foundation for people with normal skin-type. If you have oily-skin, then this foundation is not for you. It doesn’t control the oil very well throughout the day. Therefore, if you have oily skin, you can still use this foundation but you will need to keep some blotting papers with you to control the oil. This foundation is also safe for sensitive skin-types. 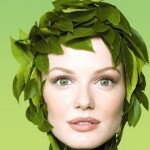 Doesn’t contain harmful chemicals that make your skin age super-fast and damage it. Comes with a “twist-cap” which makes dispensing easy and saves time. It also allows you to control how much product you need from the bottle. It doesn’t control the oil very well. So if you have oily-skin, you need to keep some blotting papers, designed for oily skin, with you. It gives you a slightly “glow-ish” finish. Not very long-lasting but it’s decent enough for its price tag. But an excellent foundation for short terms. In my opinion, the best way to apply this foundation is by using a foundation paddle brush. It provides a nice coverage. However, if you want a little more coverage, you can also use a sponge. A few things about using sponges first. Make sure that they are clean. 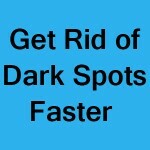 You don’t want all the dirt in them going on your skin as that can cause problems. You may also want to wet the sponge a little bit before applying foundation. That gives it a good absorbance and kind of an even application. Most people use foundation paddle brushes, however. Cleaning your sponges is a real chore! They are just very time-consuming and inconvenient compared to the brushes. 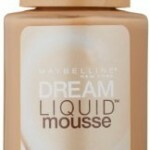 Dream liquid Mousse Foundation is very affordable. 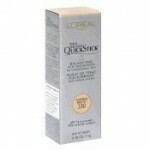 You can easily get it from your local drugstores, or online for under $20. 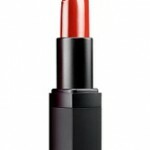 If you know the shade you want, you may also buy it online (with some discounts hopefully). 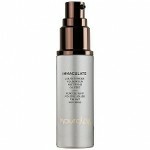 Compared to the other expensive foundation in the category, this liquid foundation top the list. You can get it for 10 bucks and get the same benefits as the other foundations. You can either get it from your local drugstores, or you can purchase it online. If you are considering purchasing it online, I would suggest Amazon. Amazon is a reputable online seller and you can expect excellent service form them at all time. They also have some nice discounts available from time-to-time, so do check it out and see if you like it.